Shopping in Penang doesn't necessarily mean going to one of the many city malls. 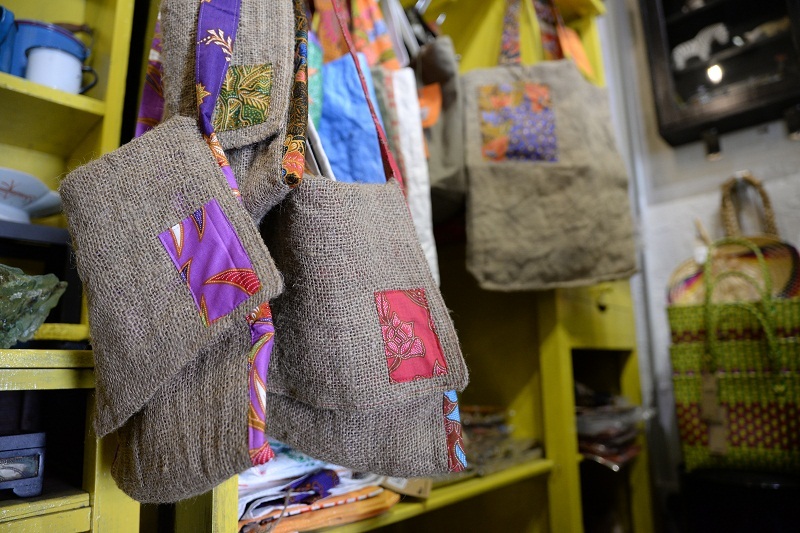 Try these 7 places for an alternative experience, and go get your books, clothes or souvenirs supporting directly the local community, its artisans, and artists. 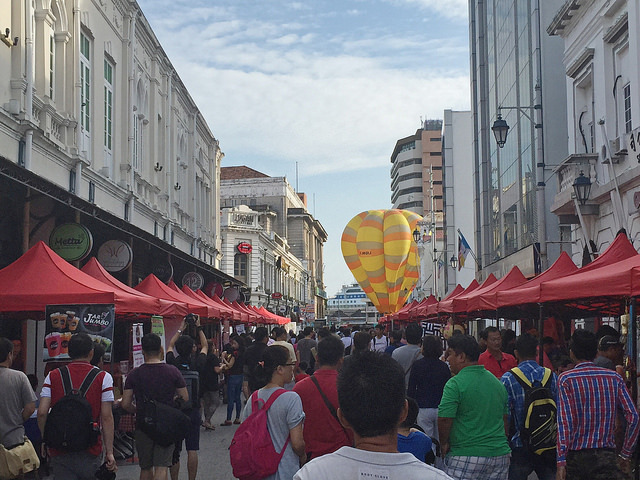 Time for shopping in Penang: what to do? What to buy? For sure, you CAN spend a lot of time in some of the best Penang shopping malls, but where to go grab some worthwhile Penang memories, if you are tired of the same corporate mainstream brands you can honestly find everywhere? Well, rejoice, because we believe that some of the best shopping in Penang is done out of the malls… elsewhere… and the best part is, supporting the local community and maybe even making some interesting encounters. 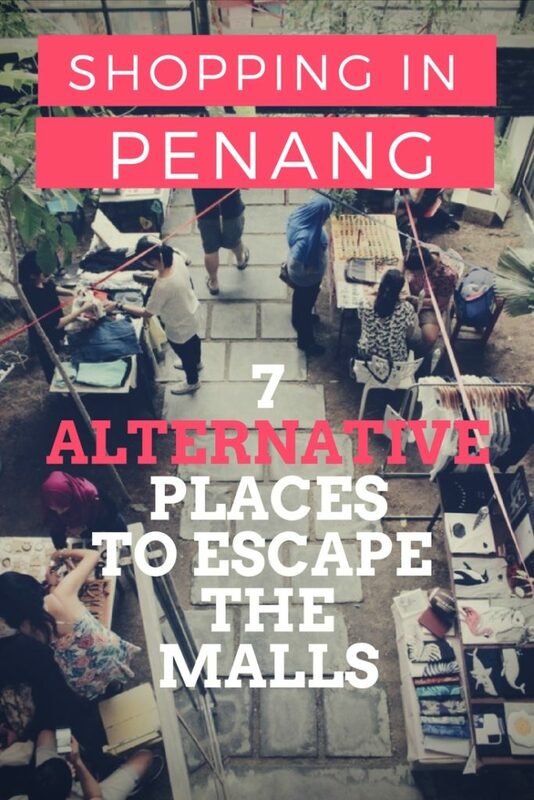 Besides a few obvious boutiques and shops, the following 7 suggestions will set you up for a few great days of shopping in Penang, but without ever entering any mall… Do you think it’s impossible? Read on, unbeliever. DO YOU THINK I’M USEFUL? PIN ME FOR LATER, THANKS! 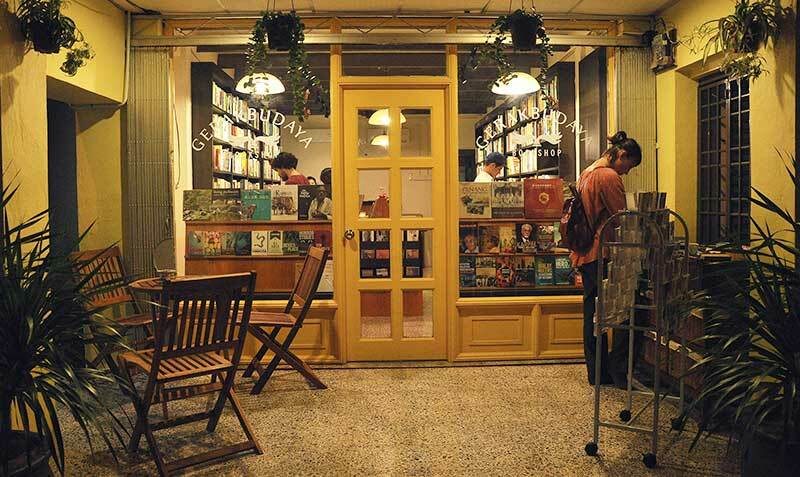 If you love books and more so, are interested in finding titles that really cover most aspects of Malaysia’s culture, society and politics, look no further than this alternative bookstore. It may be the best in town because it’s the only one, but NO: it truly is a great place to find cool books and alternative musings. Handily situated at the corner of Chulia Street and Pitt Street, Gerakbudaya Bokshop is also a good place to start getting to know what’s simmering in Penang art-wise. The shop’s manager, editor and writer Gareth Richards is one of the island’s prime cultural movers, so don’t be surprised if most artists and literary characters hang out and buy their books here. You may ask yourself if this shop is related to the namesake Gerak Budaya in Petaling Jaya, Kuala Lumpur . The answer is yes, it partially is: not only Gareth edits often for the publishing house, but this is their main distribution point in Malaysia’s northern region. 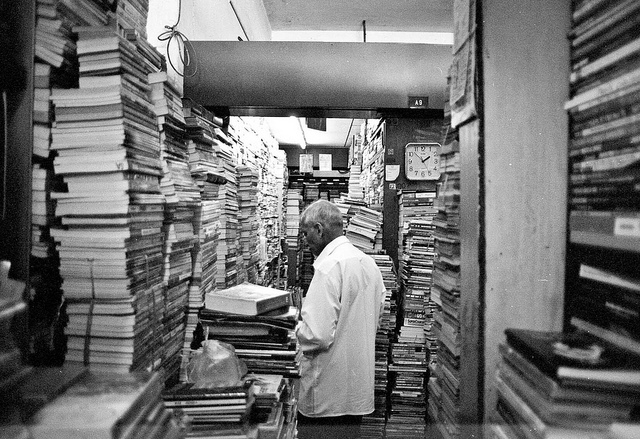 At last, if you want to grab Penang-related reading material, there’s a very well stocked section here, ranging from titles like Jean Bernardi’s anthropologies of the local Chinese community, to reference books on the streets of Penang. Not in George Town but worth the trip — a 2o minute bus ride from the 7/11 on the corner of Love Lane and Chulia street — this is Penang’s biggest flea market, and has a bit of everything, including fresh fruits. 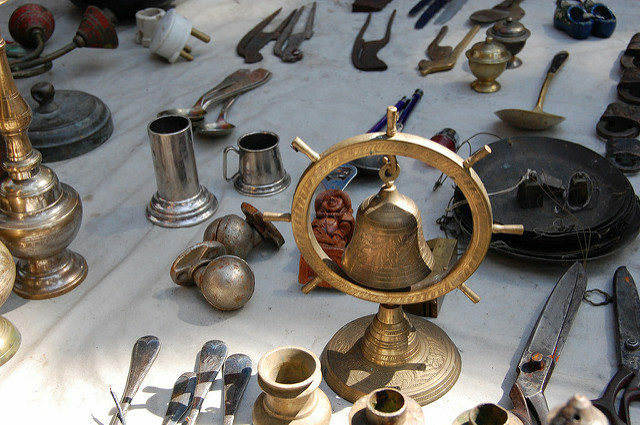 It has a reputation for being, well, a “stolen goods market”. WE would NOT recommend you come looking for electronics here 🙂 but for the rest, shop safely. Truth be told, in terms of vintage this is not as good as the Memory Lane Market in Ipoh, but it’s still the best place in Penang to scour for some old vinyl records, secondhand books, used magazines, and even pre-loved clothes. Note well that this market is enclosed in an area that fills up easily with locals coming to shop and have breakfast in the many restaurants and stalls around it, so don’t try to come by car — parking is impossible, or just manned by people who will overcharge you. The way to go is either motorbike or taking one of the Rapid Penang Buses. How to get there: Take any 200-something numbered bus towards Air Hitam, and ask the driver how to get off at the Penang Jail intersection along Jalan Dato Keramat. Lorong Kulit is the small alley right across from the bus stand near the post office. This former bus depot has done so much to give a voice and space to Penang’s — and Malaysia’s — visual artists. Its art and photo exhibits have definitely filled a hole in the island’s social and cultural life. Not only that, but they also organise a great Sunday pop-up market where EVERYONE can set up shop and sell ANYTHING for a mere RM10 (USD2). A real encouragement, which has cemented Hin Bus’ as “the go-to-market” on weekends. Trust us, you will find a bit of everything in this beautiful open space immersed in green, and yet in walking distance from KOMTAR. From second-hand books to plants and flowers, home-made drinks to hand-made jewelry and hand-drawn postcards, there’s something cute, tiny and artsy for everyone. And the best thing is, the stalls change mostly every week. Every Sunday from 7am to 1pm, the group of coastal roads Lebuh Pantai, Lebuh Bishop, Lebuh Gereja and Gat Lebuh Gereja become a “car free” area. But what has this to share with shopping anyway? 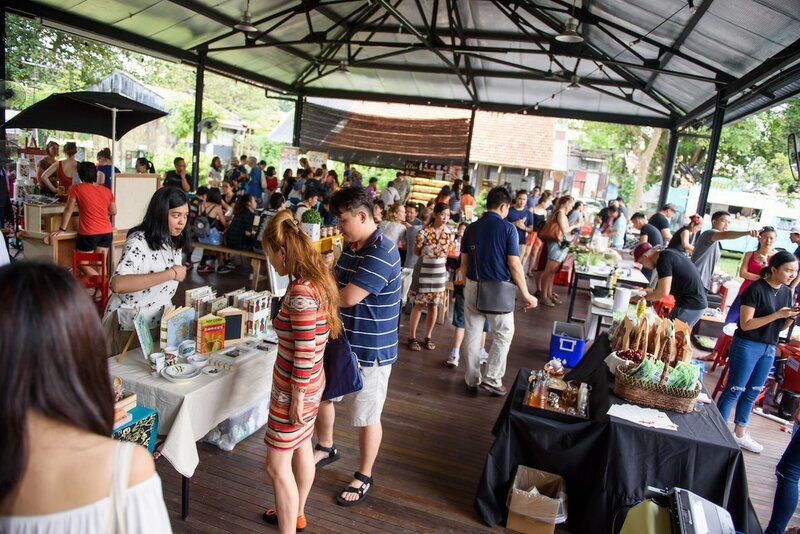 Well, among the many activities on offer, such as Zumba classes, bicycle runs, art performances by local and visiting artistes and whatnot, Lebuh Pantai (better known as Beach Street) fills up with lines of pop-up stalls selling all sort of things. Don’t think too arts-focused like what you’ll find at Hin Bus Pop Up Market; rather, think of a space where some brands and companies come to present their products, and where you can browse second-hand stuff and clothes stalls. The best part of the Occupy Beach Street Market is actually being able to walk along Beach Street without the cars: it’s still one of George Town’s most atmospheric roads, filled with colonial buildings and graceful architecture, and where most of the city’s banks have taken up shop in the old colonial buildings. It’s lovely to just be able to stroll around, browsing for souvenirs and clothes — I’ve even seen electric bicycles for sale here — without worrying about the cars. Howard Tan is a local artist who capitalized on the success of his photographs of George Town’s corners, and this shops sells a variety of his merchandise. From calendars to prints, notebooks and bags, you’ll find something to suit your fancy. It’s also a pretty good spot to buy prints of Penang most iconic buildings, places and corners for your family and friends back home. Also, you may want to check out Howard Studio in nearby Armenian street. It’s not much for the stuff on sale, that’s basically the same you would find at Shop Howard, but you should go for the frequent workshops and exhibits curated by the artists in residence. Chowrasta is one of Penang’s oldest market, set right opposite the main Police Station on the lower end of Penang Road. Even though it has been completely restored in 2015, the new building is just an embellished shell for the same old trades. One may not be very interested in the ground floor that hosts the market itself because there’s only produce, meat and fish for sale. But take a walk upstairs to the first floor, where you will find the widest selection of — cheap — secondhand books in Penang. There are literally hundreds of tomes here, from anywhere and everywhere, and covering all subjects. From novel to school textbooks, guidebooks to scientific tomes, the stacks of books here literally create a forest of paper you can spend hours checking. Remember that this is one of those places where it pays to haggle prices down a bit, regardless of all books having a price tag. You don’t have to go all the way to Batu Ferringhi to buy the spices and products by Tropical Spice Garden. It’s all available in a convenient boutique tucked at the eastern end of Little India, opposite to popular Indian restaurant Sri Ananda Bahwan. 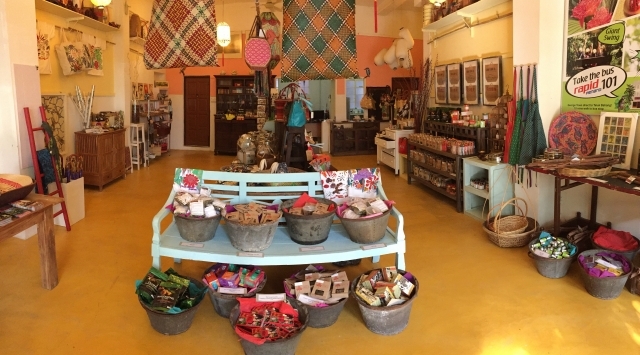 The forte here is the series of spices produced in Penang that always make for a great gift idea, but there’s more, from stationery to shirts and plenty of beauty products, you can choose from. Particularly good for women travellers, it’s also ideal for the men who need to buy them gifts 🙂 and all this stuff make a much more interesting Penang souvenir, rather than the cookie-cutter brand stuff you would find in any Penang shopping mall. Address: 29, China Street, 10200, George Town, Penang.